Estimate the mulch needed to fill an area by entering the size of the landscaping area and the depth of fill. Get results in cubic feet, cubic yards, and number of bags of mulch needed. 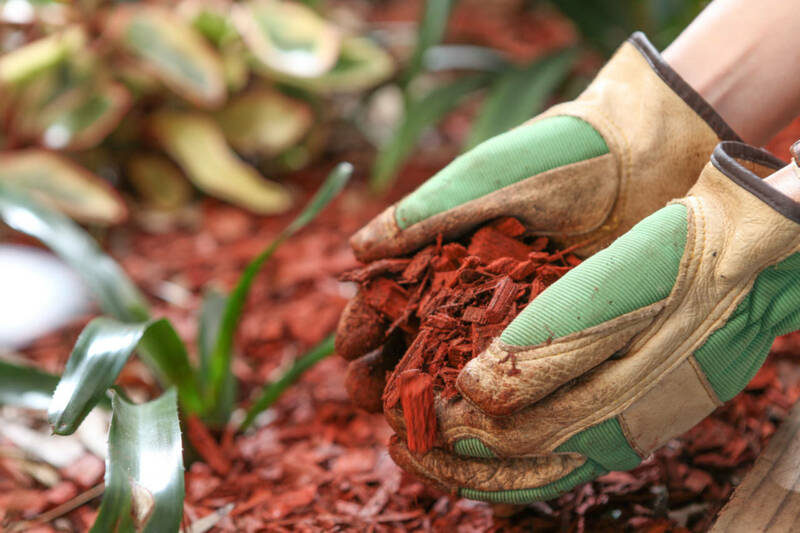 What Type of Mulch Should You Use? Adding mulch is a great way to refresh a landscaping bed and prevent weed growth. Adding mulch is a pretty easy project, but before you start it’s important to calculate how much you need for the job. The easiest way to calculate mulch coverage is to use the calculator above since it takes all of the math and guesswork out of the process. If you want to do the calculations yourself, estimating material can be done in a few easy steps. The first step to calculating how much mulch you need is to measure the space that will be covered. Use a tape measure to measure the length and width of the space. Next, measure the depth of the mulch bed. We recommend a 3″ depth for an average mulch bed, but 2″ or 4″ would be just fine as well. Make sure all measurements are in the same unit of measure, the calculations will be easiest if all measurements are in feet. Multiply the length times the width to find the area of the space. If the landscape bed is complex then split it up into manageable sections and measure each separately. Multiply the depth by the area from the previous step. Remember to keep all measurements in the same unit of measure, so if the width and lengh are in feet then multiply the area by the depth in feet as well. See volume formulas to estimate the volume of more complex shapes. It might be necessary to convert the volume measurement to the unit of measure that the mulch is sold by. Mulch sold by the bag is usually measured by the cubic foot. You can also purchase in bulk by the cubic yard. If all of the measurements used in the volume formula are in feet then the volume is in cubic feet. If the measurements were in inches then the volume is cubic inches. To convert to the desired volume measurement you can use our cubic inches to cubic feet or cubic feet to cubic yards calculators. To convert manually, divide a cubic inches measurement by 1,728 to get cubic feet. Convert cubic feet to cubic yards by dividing by 27. Before purchasing mulch do some research on the best type for your project. Backyard Boss explains that there are several types of mulch available, including garden mulch, rubber mulch, bark mulch, hardwood mulch, hemlock mulch, and leaf mulch. Learn how to choose the right type of mulch for your project. Different types of mulch also cost more than others and that may be an important factor in your decision. Check out our soil calculator to calculate soil for a garden bed and use our cubic yardage calculator to estimate other landscaping materials.